New York Times & USA Today Bestselling Author, and NAACP Image Award nominee, Nancy Redd, released her new book: Pregnancy, OMG! : The First Ever Photographic Guide for Modern Mamas-to-Be. During a recent interview with theGrio, Redd spoke on the importance of tackling inclusiveness and the lack of medical care for black women. Although all women experience pregnancy struggles, black women disproportionately suffer from higher maternal morbidity rates and critics say the healthcare system doesn’t put as much effort into treating black women with care. This reality prompted Redd to do her own research to find an African-American OB/GYN back when she was pregnant, who actually made her birthing experience better. Redd opens up about about that experience. 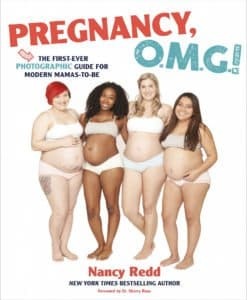 The post Too many pregnancy books don’t keep it real- author Nancy Redd is changing all that with “Pregnancy, OMG!” appeared first on theGrio.